On 21 September 2018, AdeptoCo. launched their Elora development and Barking Bird couldn’t be happier with the final brand we have helped them produce. AdeptoCo. have built a reputation for delivering several premium developments across Melbourne. 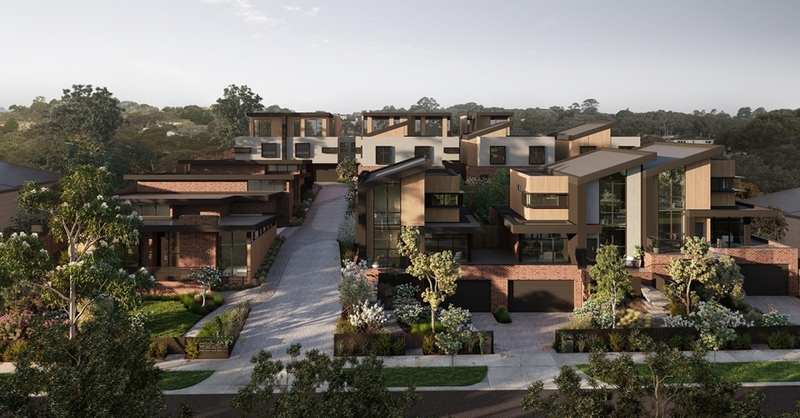 Elora, their latest project, is a 13-townhouse development of two, three and four bedrooms in Templestowe Lower. It is a premium development architecturally designed by Point Architects with interior finishes selected by CoLAB design studio. The estate’s name and overall theme are inspired by Aboriginal origins and the Birrarung Park, whose entrance is directly opposite the estate. With a diverse range of amenities and an abundance of parklands within reach, the estate appeals to both young families in the market for their second home as well as downsizers. Beginning with the brand itself, Barking Bird has supported the launch and sale of Elora with several assets. The brochure, photography, renders and sales collateral are all key to the project’s image we have worked hard to build. And the website we designed and built for the project will be a big contributing factor in securing buyers’ registrations of interest.